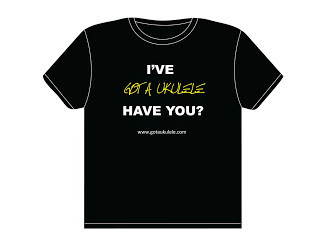 There seems to be an awful lot of discussion at the moment in social media circles about people wanting to amplify their ukuleles. I see this generally as a positive thing as I suspect it means they are wanting to perform live. I say 'generally' because amplifying just for the sake of volume is probably not a great reason, but there you go. I have talked before about amplification options so I won't repeat all of that here. In short though you have a couple of main choices - either to use a microphone in front of the instrument (and that will give you hands down the most authentic tone reproduction) or using a pickup inside the instrument. The pickup option has its downsides, particularly if they are cheap, but with a good quality one and the right amplifier you can get a very pleasing tone from them. In fact the lions share of professionals you will see on festival stages perform with pickups this way. There are people who perform with microphones too of course and they sound great, but for many the versatility of a pickup system is the ability to move around and not be tied to the microphone coupled with a big reduction in feedback on stage. I suppose your type of act will come into play here as to what suits you better. I do however see something of a worrying trend for people to aim to the lowest possible price on electro ukes and I think there are all sorts of consequences here. You see, if you are purely driven by the overall price of a package, then you must be cutting corners somewhere. Going down the electro route should cost you MORE money I am afraid. Lets consider an example. 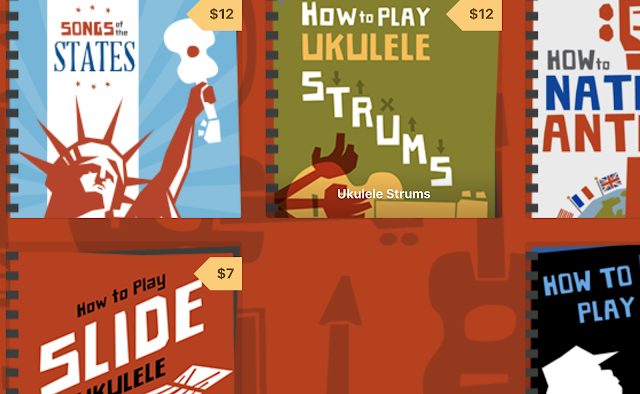 Ukulele player Joe has a budget of $200 to buy an instrument with. He sees a range of acoustic instruments he likes for $200. He then spies an acoustic electro instrument, ready fitted with a pickup system for $200. Which is most likely to be the better instrument? 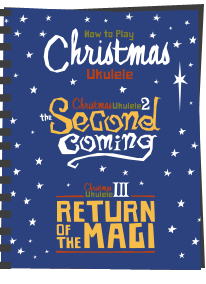 Now, I know other things come into play here, and the underlying playability of the uke is what matters most of all, but bear with me - lets consider all things are equal. Whilst the electro may seem like a good deal, corners have surely been cut? 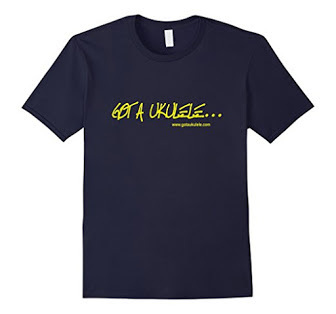 The pickup itself and the process of fitting it comes at a price and if the overall uke is the same price as a purely acoustic instrument, where has the saving been made to keep the price low? The answer is usually in the two most crucial things. Firstly in the construction of the underlying uke itself, which is, of course, critical, but also in the quality of the pickup. Not all pickups are equal! If you really do want to plug in you need to be happy that the pickup will do its job properly or why bother in the first place? And very sadly there are some shocking examples of poor quality cheap pickups out there as the ever more aggressive drive to cheapen the ukulele shows no signs of stopping. People may say 'oh but it sounds fine' based on their experience playing them through a £30 battery powered 2.5W amp, but that's really not much of a test. Try recording with it, try playing it through a stage PA system and then ask yourself if it sounds fine. And when you listen - ask yourself - does this sound as nice as it does unplugged? You see, cheap pickup systems can often leave the uke sounding thin and 'electric' and not really very acoustic. There is something else that comes in to play here too, and thats the reference point that makes people to claim that they 'sound fine'. Even the cheapest pickup will make some sort of musical noise, it may even sound vaguely like a ukulele. But if all you have ever played is that one cheap pickup you happen to own, how can you compare it to a better quality system? In other words, I'd argue that most of those who think they 'sound fine' just haven't heard how nice a better quality pickup can sound. So in this area I would advise NOT to skimp on cost. You don't get anything for nothing in this world and if you are wanting to consider the electro route add more money to your budget rather than looking for a saving. So what are the downsides to a cheap pickup? Well, often the cheap models come pre fitted with electronics whacked in the side of the ukulele. They do this, I believe, to give the player less things to worry about (i.e. you just plug in and go), but they do so at another expense. Not only do I think they look ugly, they add weight to the ukulele and create a big, non reversible hole in the side! All that extra wiring and circuitry also adds complexity to something that should be simple and gives more opportunity for faults, buzzes and noise. Those extra electronics are just not needed and I have blogged before on the fact that a simple passive strip and a nice pre amp will give you a far more reliable and decent tone. But the main gripes come with the quality of the pickup strip and the way they are fitted. Piezo strips used for most pickups are not complex things, but they do come in quality and bargain basement flavours. A cheap strip will tend to give a harsh thin sound, but, particularly where coupled with an active control system on the side of the uke, can introduce unwanted noise to the signal (hum, crackles, and a plain muddy sound). Personally, I prefer my tone to be as clean and simple as possible. The other thing that cheap systems are plagued by is them being fitted on a tight budget. I have lost count of the amount I have played that give an uneven sound across the strings - basically some strings are amplified louder than others. Fitting an under saddle pickup is a fiddly business and it is essential they are carefully fitted to give a balanced sound. That kind of careful fitting just doesn't happen in a Chinese factory where ukes are being manufactured to the lowest price point possible. So as always on Got A Ukulele, this is an advice post, not a 'you must do it this way' instruction. You are entitled to buy what you want and to fit what you want. 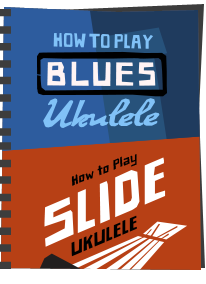 My advice however is that if you are going down the pickup route, that small strip or transducer then becomes the most important link in the chain between the uke and the amplifier. Why would you want to skimp on that? But I wonder - why would you judge onboard preamps as inherently worse in quality than a passive system? Technically, it's exactly the same. Technically they are not exactly the same - they have more wiring, more weight, more things to go wrong, and generally involve having something stuck in the side of the uke. A passive is a strip that runs to a jack socket and nothing more. 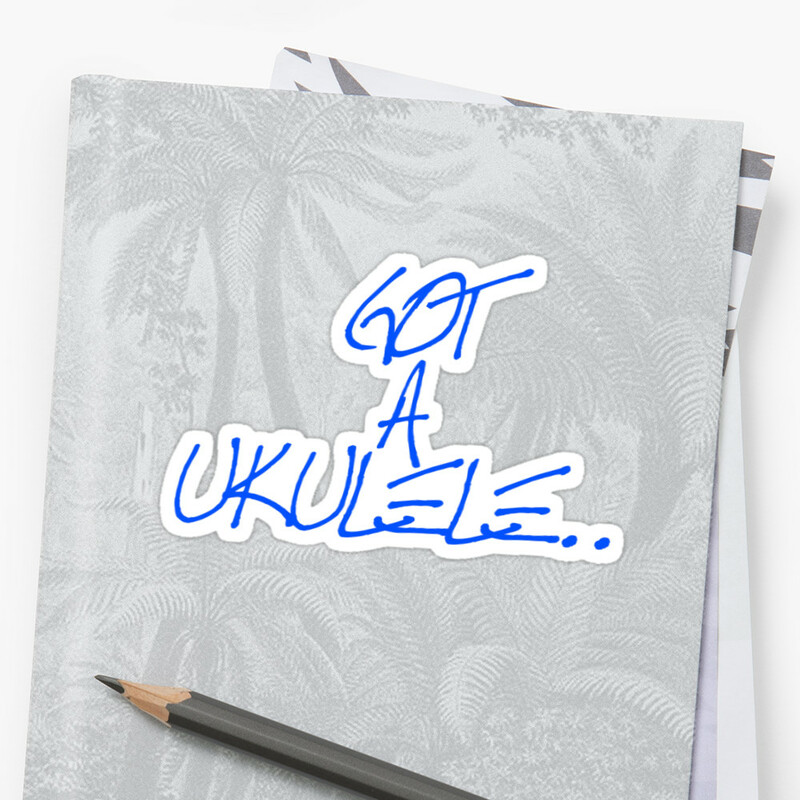 There are some good ones out there I suppose, but on the whole, with cheap ukuleles, they tend to be fairly cheap systems and sound like it. Is the one in the picture a good example or a bad example? There's actually less wiring.... There's a wire from the piezo strip to the internal preamp. And with an external one that's exactly the same, just the wire is longer and requires an additional connector. But I agree that cutting a nasty hole in the uke isn't a good thing. I just don't think this has anything to do with sound quality, unless you compare a cheap chinese internal pickup with a Fishman or LR Baggs. By the way, I actually use a passive pickup and I'm quite happy with that. But i sometimes miss the convenience of having all the controls on board and everything ready to just plug into the PA.
How good are the contact piezo pickups for recording directly to PC? Should I use pickups for my soprano ukulele? Grzegorz - no there isn't less wiring at all. The passive pickups I fit have a single paired wire running to the jack socket. In built systems use wires to the control section and then wires to the jack socket with a circuit board often along the way. With an external one, yes more wiring, but you can rely on good quality thick guitar leads and a well made pre amp DI box which will beat an onboard preamp pretty much every time. Contact pickups - do you mean spot transducers that go inside the uke under the bridge area? Very natural tone, but can pick up body noise. The ones that stick outside - and even worse on the headstock can be very hit and miss. Pickup on soprano - yes - why not? To get over the problem of buying a uke with a cheap pickup fitted or a cheap uke with a mediocre pickup, would it be a good idea to buy a good quality passive pickup and fit it yourself (if you have the skills) to a good uke? If so, what pickup brand would you suggest for a concert uke? Exactly what I would suggest Bern - done it to lots of instruments of my own. 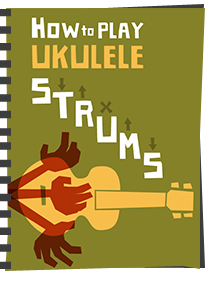 What to recommend depends on price - but generally all under saddle pickups fit all scales of ukulele (assuming the saddle can be removed). At the cheaper end, I have used Artec pickups (about £30). Mid range I have used Shadow (about £50) and upper end, Fishman at about £90. You can spend considerably more too. Fitting is quite easy if you don't mind drilling, but a good ukulele store will fit one for you as well. ps why don't you publish something about yourself under an 'About' tag on your website? For example, is this your day job? Misi acoustic trio, very good and clear sound.